Stylish, sustainable, and socially conscious – that’s been the mantra on the mind of Hillcrest Mall since 2016, when it began a campaign to drastically reduce its green footprint. A number of changes were made that have lead to the centre to increase its waste diversion rate to a whopping 86 per cent! After achieving this milestone, it made perfect sense for the shopping centre to take the next logical step and incorporate wildlife into the mix. 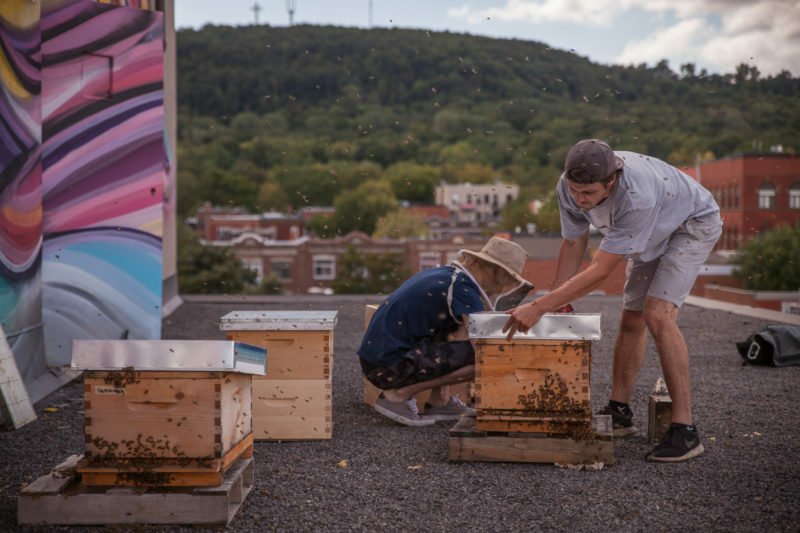 This June, Hillcrest connected with urban beekeeping organization Alvéole, and installed two beehives on its roof. The hives will start off housing approximately 20,000 bees, and have the potential to grow to 80,000 bees by the end of the season – talk about some sweet guests! The team prepared the environment by planting wildflowers around the perimeter of the mall, and are letting people know that the bees will pollinate flower and vegetable plants within a 5 kilometer radius. Bees are responsible for 80 per cent of all pollination worldwide, which contributes to about a third of the food we eat. The 2013–14 winter saw Ontario beekeepers lose 58 per cent of their hives due to colony collapse disorder. 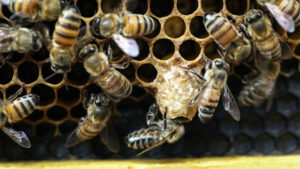 Hillcrest’s interest in urban beekeeping is a response to events like this, which are leading to a decline in bee populations locally and around the world. What’s the latest buzz? In 2015, it was reported that Canada’s bee population is bouncing back faster than other developed countries, and this is credited to private citizens and businesses taking on urban beekeeping in a big way. Hillcrest is officially the first shopping mall in Canada to install beehives on its roof, and they join the Shangri-La, Fairmont Royal York, and Canadian Opera Company, companies that are all part of a larger story taking place in Toronto, recently named Canada’s first Bee City. Other brands are also taking this on, with Burt’s Bees’ #KissesforBees campaign kicked off this year with a special lip-shaped art installation, sprouting native wildflowers for bees to pollinate at City Hall. This Spring, Engel & Völkers York handed out wildflower seed sticks to encourage pollination in the neighbourhood. Want to know how you can get involved? BeesMatter.ca is a good place to start! Over the course of the season, Hillcrest’s honeybees will produce approximately 20kg of honey. Come fall, the Hillcrest team will directly participate in the honey extraction process, and live-stream the event via @Shop_Hillcrest on Instagram. Stay tuned! Matte PR is the Public Relations Agency of Record for Hillcrest Mall and Engel & Völkers.